Getting from Vancouver to Whistler is a pretty straightforward task, but there are several transportation options are available across different price ranges. If you are on your own, the cheapest way to get to Whistler is by bus. Single one-way fares for adults run from around CAD$25 to $70 as of 2019. Several companies offer scheduled bus service from the Vancouver International Airport (YVR) and multiple stops in Vancouver itself. (Buses from the latter are usually cheaper than buses from the former.) Some even offer day lift passes plus return transportation at reasonable rates. It's best to book your rides in advance—you can do this online. Rides usually take about two-and-a-half hours. Pacific Coach's YVR-Whistler SkyLynx is the only bus transportation company with ticket counters located at the airport if you want to book a ride upon arrival. The SkyLynx will also stop at downtown Vancouver hotels. Snowbus offers transportation between Whistler and Richmond, Vancouver, and West Vancouver during the ski season. Snowbus also offers bus/lift ticket packages, so you can hit the slopes the moment you arrive. Epic Rides keeps it simple and affordable, Epic Rides offers one bus for Whistler in the morning and one return ride per day during the busy season. The Whistler Shuttle requires you to book in advance, as it runs on a schedule that matches incoming and outgoing flights from Vancouver International Airport. If your inbound flight is delayed, there's no reason to sweat—staff monitors the air traffic and will wait for you if your plane is late. As of 2019, there is no commuter train between Vancouver and Whistler. The Rocky Mountaineer does cover a route that connects the two cities, but fares on this train are for multi-day, multi-stop scenic rides that only pause in Whistler for a short while. Harbour Air will fly you to Whistler by floatplane in about 45 minutes from April and August. Expect to pay at least CAD$160 each way, as of 2019. There is one major route to Whistler—straight up Highway 99, better known as the Sea to Sky Highway, which is one of Canada's most scenic drives. Note that in winter, driving conditions can be challenging, so it's best have an experienced driver at the wheel. If you aren't taking your own car, several car rental companies operate out of the Vancouver airport. Taxis are available outside the Vancouver Airport and throughout the city and will cost about CAD$250 to get to Whistler, so it's not a cheap option. 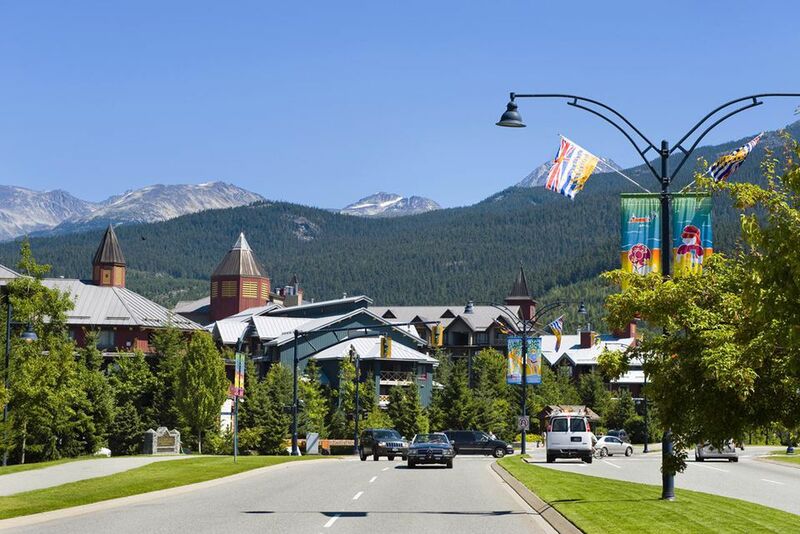 You can often get discounts by booking ahead with companies like Whistler Taxi. Whistler Taxi has the advantage of taxis that are equipped to take up to six passengers and their ski gear, so if you're traveling with a group, taking a cab and splitting the fare might be a convenient and affordable option. You can also book formal car services. Aerocar offers service to Whistler by sedan and stretch limo. Rates are from about CAD$300. There's a website called Poparide where drivers across Canada can offer up extra seats in their car to travelers for a modest price (often around CAD$15)—it's basically an organized version of hitchhiking. Riders simply need to put in their pick-up and drop-off locations, the dates of travel (this is optional if you have a flexible schedule), and the site will list drivers who are making the journey on a variety of dates. Riders can also request specific routes at specific times to be matched with drivers. There are often a number of drivers traveling between Vancouver and Whistler.